Jenna: "Basically I'm going for the casual funky look. I kind of wanted to mix a little vintage with designer and Forever21, just a little bit of everything. And just comfort. 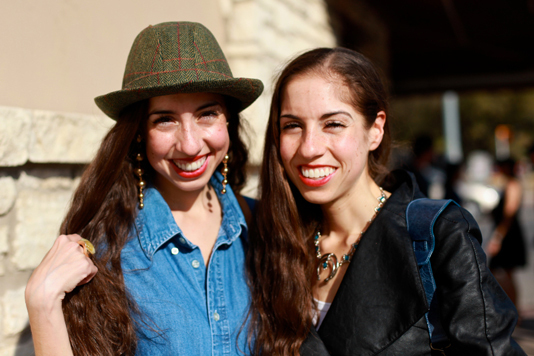 We're twins, so when we get ready, we just try not to wear the same thing, but we frequently have on the same colors." Blair: "I guess what inspires my style is moreso, just... Art, magazines, and movies. I pay attention to the Vogue fashion trends."